An iconic symbol of Dublin is the Palladian-style Custom House on the north bank of the Liffey. Designed by James Gandon, it opened in 1791 and was used in collecting duties and later for local government. Burnt during the Irish War of Independence, it was re-built by the Irish government after the war. It now houses the Department of the Environment. The National Gallery of Art on Merrion Square contains an extensive collection that encompasses not only Irish art but also works by European artists including Rembrandt, Vermeer, Caravaggio and Goya. (See separate feature). Merrion Square surrounds a small park and in the park is a unique statue of Oscar Wilde perched upon a boulder (above right). 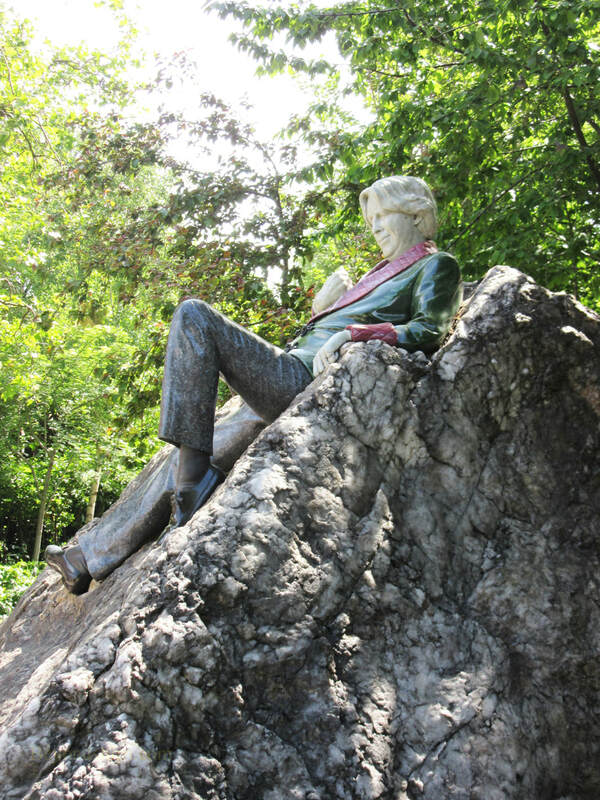 The presence of the statue is explained by the fact that Number One Merrion Square, which is across the street, was Wilde's boyhood home (right). For more information. 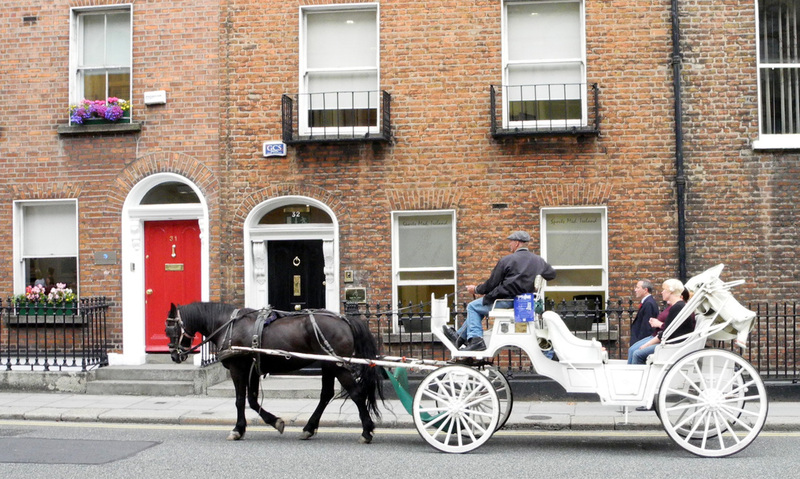 ​Merrion Square was also the birthplace of the Duke of Wellington, victor of the Battle of Waterloo. The area between Merrion Square and Fitzwilliam Square is the heart of Georgian Dublin. 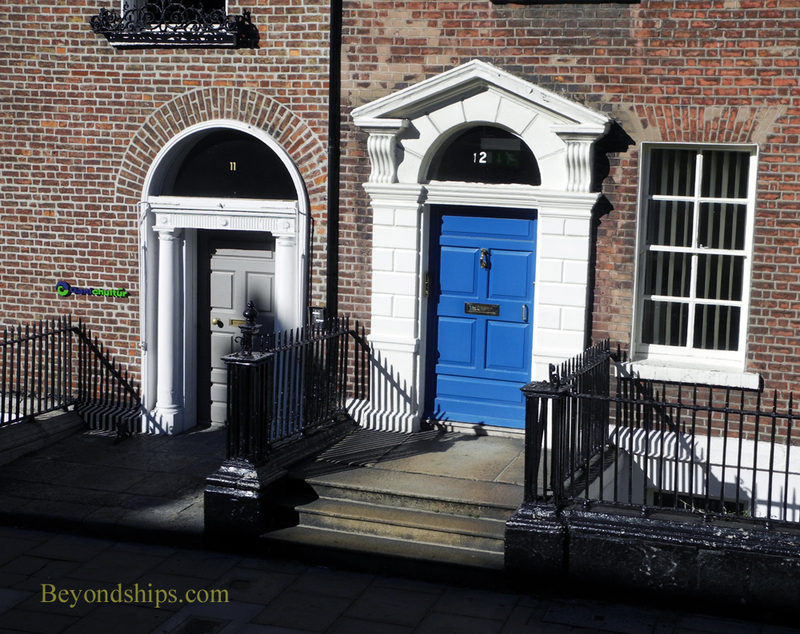 During the late 18th and early 19th centuries, this was a fashionable part of Dublin and many town houses were built there. Quite a few of these survive but most have now been converted into offices. However, one mansion has been restored as the Georgian House Museum (for more information). 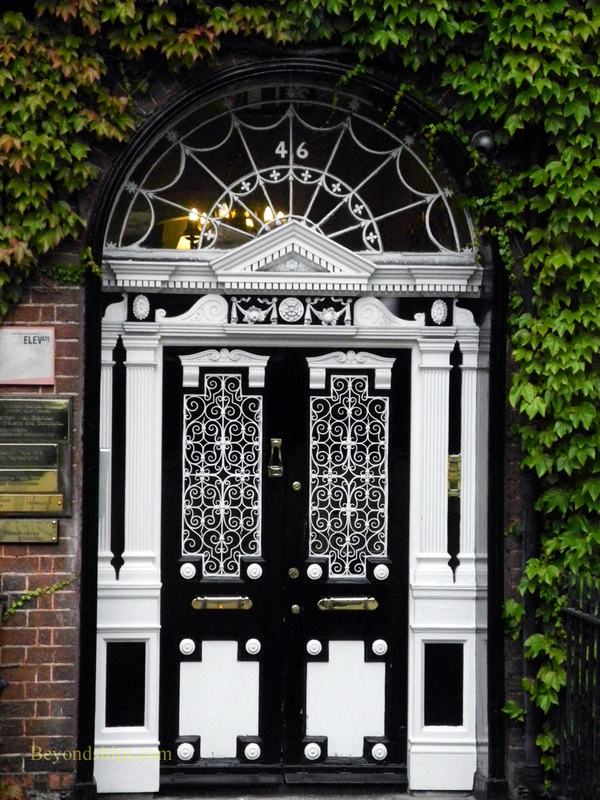 In addition, these buildings are known for their colorful, ornate doors. 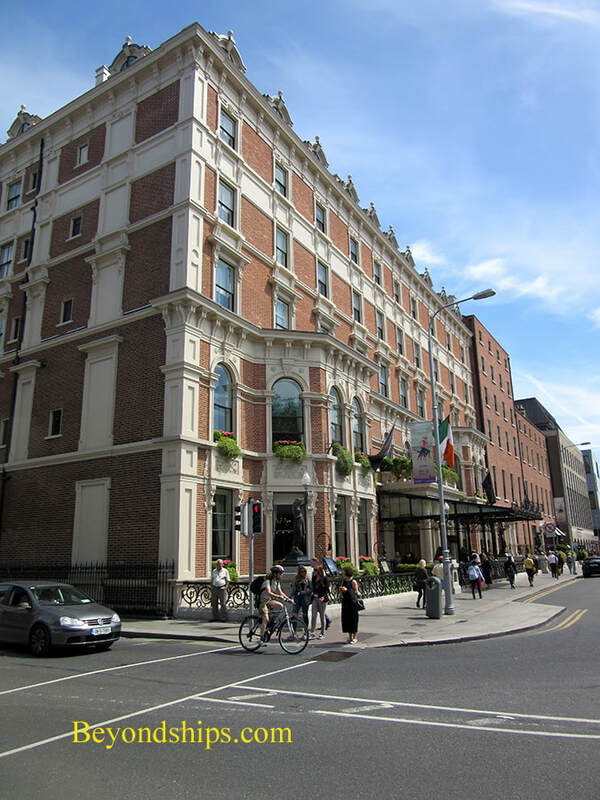 The Shelbourne Hotel (right) has long-been a fashionable venue and is still one of Dublin's top-rated hotels. 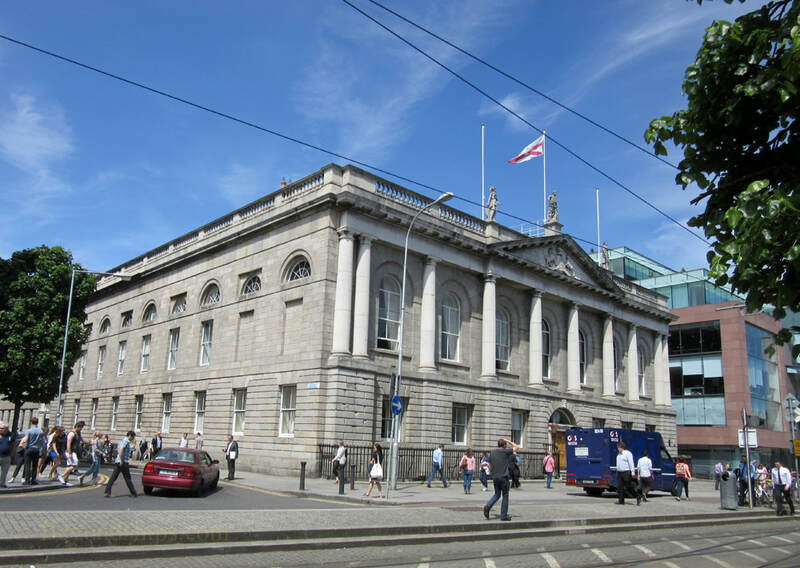 In addition, it obtained historic importance when the Irish Constitution was drafted here in 1922. For more information. 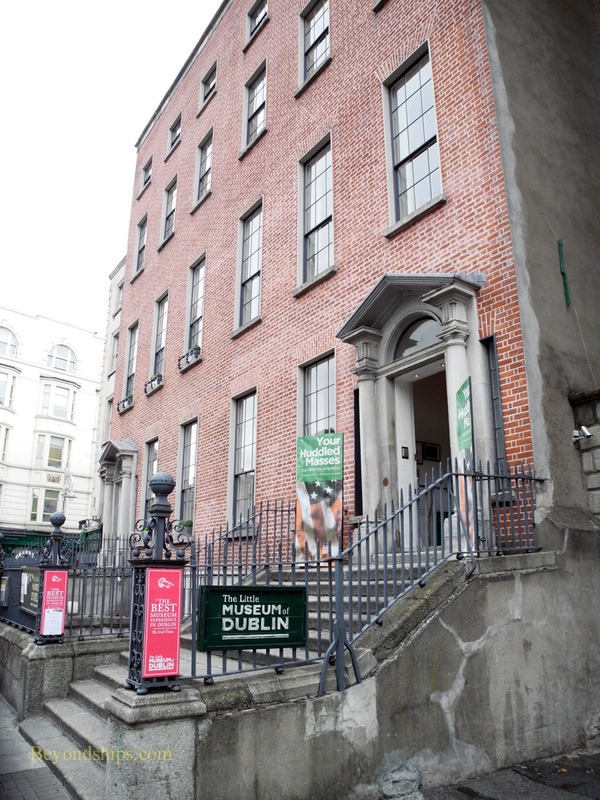 Nearby, The Little Museum of Dublin (left) looks at the 20th century through items donated by Dubliners. For more information. Also within Georgian Dublin is St. Stephen's Green, Europe's largest garden square (above). Access was restricted to local residents until 1877 when it was opened to the public largely at the behest of Sir A.E. Guinness who paid to have the park revitalized. During the Easter Rising, a battle was fought here. The story goes that both sides agreed to cease firing while the groundskeeper feed the park's ducks. 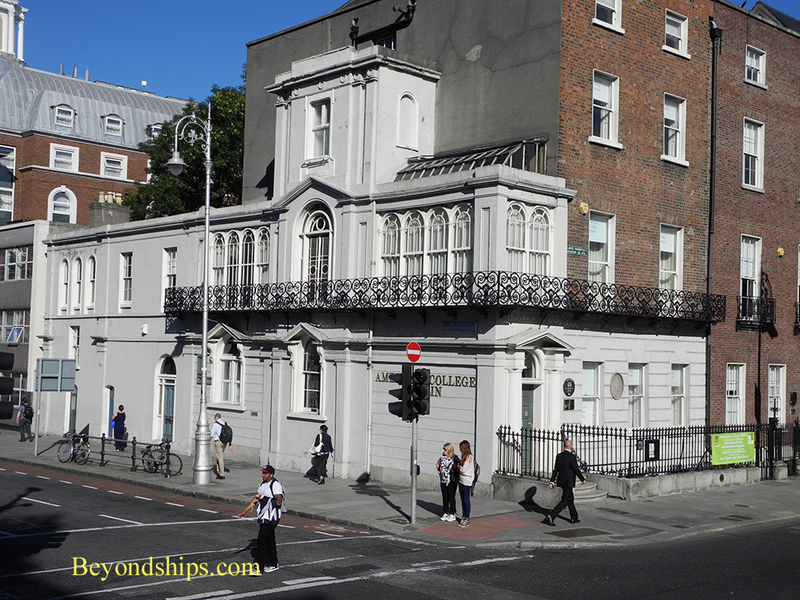 Just off St. Stephen's Green is the Royal College of Surgeons. It is an impressive looking building but its real significance is that it was the official headquarters of the Irish Citizens Army during the 1916 rising. 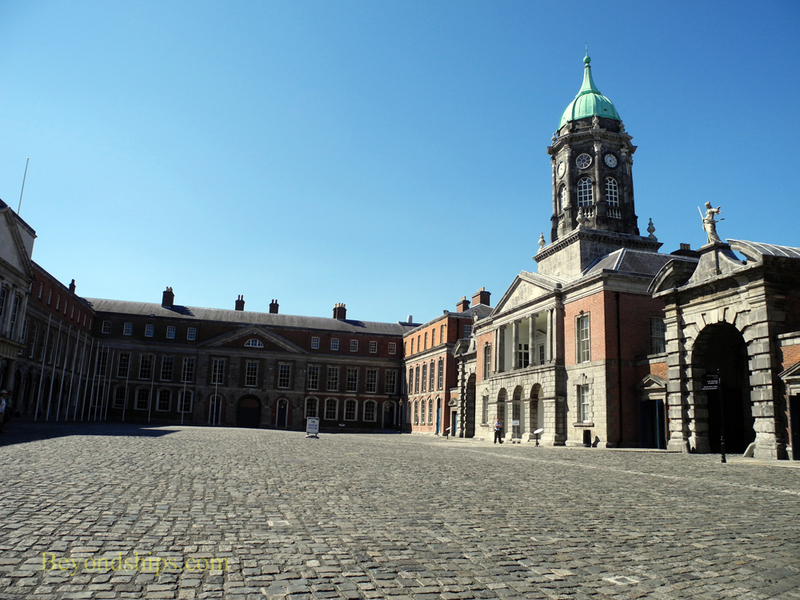 Further west in the city center lies Dublin Castle, which was the seat of British rule in Ireland (left). (See separate feature). Just outside of Dublin Castle is Dubhlinn Gardens. This green area was laid out on the site of the black pool which gave the city its name (below left).